Converts the focal distance of the body lens by a factor of 1.75 when attached. Note. 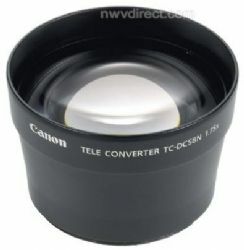 An approriate lens adapter is required to attach the lens to a compatible digital camera.